In this article, I am going to cover Blu-ray technology history, including its invention, launch, and epic battle with the HD DVD format. Hopefully this will alleviate some of the mysteries that surround this up-and-coming technology, because let’s face it, HD video isn’t going anywhere. Contrary to what you might think, the name ‘Blu-ray’ wasn’t just some marketing ploy to make you want to buy the movie industry’s cool, new movie discs. The name is derived from the blue-violet laser used to read the disc, although marketers did jazz it up a bit by dropping the ‘e’ off of the word ‘blue’. Standard DVDs use a red laser which, as you might know from rainbow studies, has a much longer wavelength than blue/violet light. This seemingly minor difference is what allows Blu-ray discs to store almost 10 times the amount of data a DVD can store. The creation of the blue laser diode required for this technology is attributed to Shuji Nakamura, a professor in the College of Engineering at UCSB. Sony (along with Pioneer) took this work and came up with prototypes that were unveiled at the CEATEC exhibition in 2000. In 2002, Blu-ray Disc Founders was founded, and they announced the ‘Blu-ray’ project. 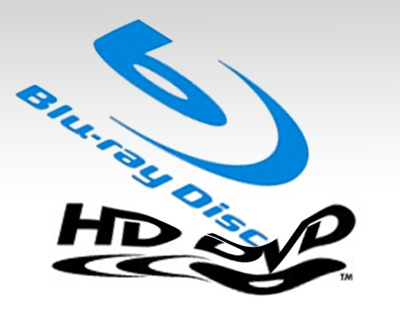 In 2004, Blu-ray Disc Founders changed their name to the Blu-ray Disc Association (BDA), and physical specifications for the discs were complete. Fast forwarding to 2006, the BD-ROM specifications were finalized and the first Blu-ray players hit the market. Due to the many delays and setbacks over the project’s lifespan, however, HD DVD players had already been on the market for a few months by then. Toshiba came out with the HD DVD format, instantly becoming Blu-ray’s primary competition and starting a “format war” in the process. This was similar to the videotape format war between VHS and BetaMax. Never heard of BetaMax? Yeah, me neither. Initially, the HD DVD was an attempt to avoid changing over from the DVD to a format that was physically different and more expensive. 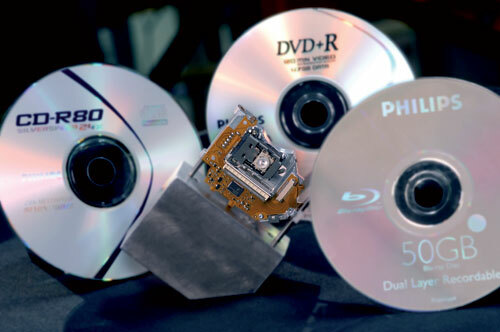 What they ended up with, however, was a high-density optical disc that worked essentially the same way as a Blu-ray Disc, blue lasers and all. What caused this “war” was the fact that no major companies wanted to commit to one standard over the other, fearing they might pick the wrong one. Once companies/industries began taking sides and battles were won and lost, it was a few key factors that ultimately swung this war in Blu-ray’s favor: the film industry and the PS3. Movie distributors (notably Best Buy & Netflix) sided with Blu-ray. This, coupled with Sony’s announcement to include a Blu-ray player in their upcoming PS3 game console, was a crushing blow to the HD DVD campaign. In 2008, Toshiba officially threw in the towel, ceasing development of HD DVD players. The war was over. In conclusion, this article could have just as easily been about the HD DVD replacing the DVD format, but the people have spoken and they want Blu-ray. This format is here to stay until the next wave of new technologies hit the market, but judging from past experiences that might not be for some time. If you didn’t know what Blu-ray was or where it came from before reading this article I hope I cleared the air for you. If you have any thoughts, ideas, comments, or general inquiries please leave them below!